THE NIKE UNLIMITED COLORWAY COLLECTION. The Nike Air Zoom Pegasus 33 delivers a smooth, snappy ride with a finely tuned outsole that features impact-absorbing cuts within the crash rail, Waffle pistons and a radiused heel. Flywire cables deliver a secure, locked-down fit. 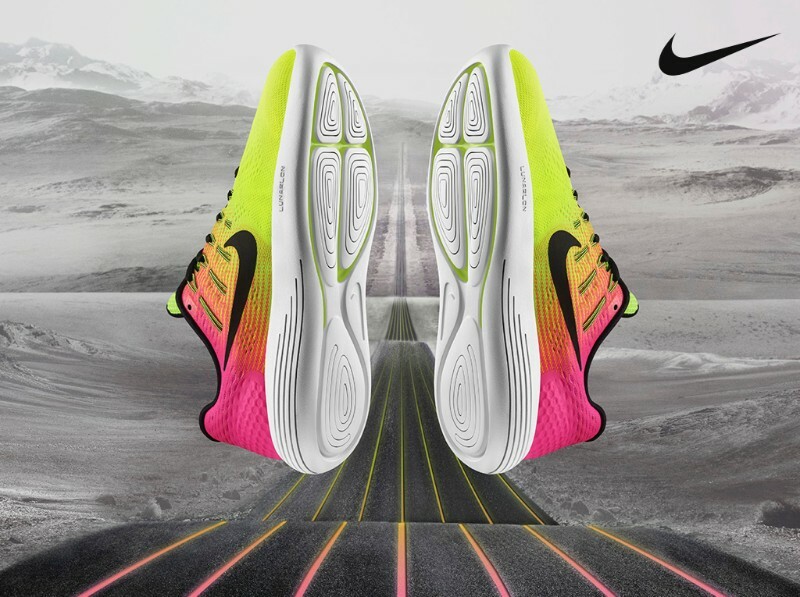 The Nike LunarGlide 8 features plush Lunarlon foam that cushions your stride and articulated laser cuts in the midsole for a smooth ride. Flywire cables lock down the midfoot down. Zoom Air units provide low-profile, responsive cushioning.